Oh snap! 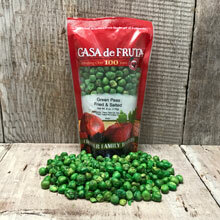 These fried green peas are the perfect salty snack to entertain guests or to snack on the go. Packaged in a 6 oz. bag.